Made from 78% Tempranillo, 15% Cabernet Sauvignon and 7% Merlot, aged in French oak barrels for 12 months, this is an elegant medium to full-bodied wine with ripe red fruits, sweet spices combined with toasty notes. The tannins provide texture and roundness and the finish is long and intense. The 2014 vintage was marked by a very early start to the cycle. 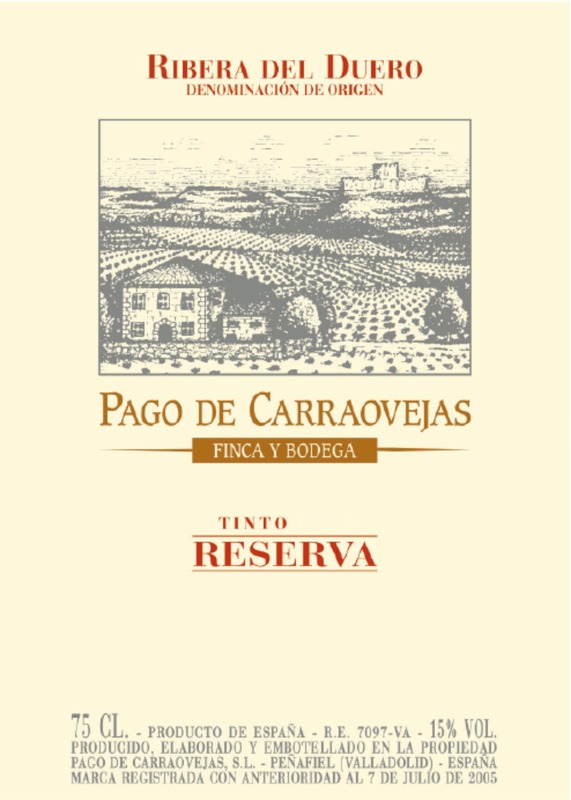 In April, the vineyards at Pago de Carraovejas already showed signs of activity, which is highly unusual. It was a very hot spring leading into a summer that was cooler than usual and enhanced by an unbeatable end to the cycle with a September that was more like summer than Autumn. The slow, careful grape-picking began on 26 September and ended on 18 October with the picking of the Cabernet Sauvignon. The rain around the time of the grape-picking lengthened the process but the quality and health parameters remained intact for such a peculiar—as regards weather—and promising vintage due to its quality. We make our Reserva using selected grapes from vineyards with a greater potential for performance, in other words, with a fruit concentration and, at the same time, appropriate levels of acidity and firm, ripe tannins. Our process respects the fruit and we work slowly and meticulously: we pick our grapes by hand and we transport them in crates. Depending on the plot of land they come from and the time they arrive at the winery, the grape may be put into cold rooms to prevent oxidation and preserve their aroma. We then perform a second selection process at the winery, rejecting any grapes that do not meet our criteria, using a selection table. The grapes are brought into the cellar and are allowed to settle naturally. The vats are filled slowly and gently. Depending on the characteristics that we detect during the tasting, we ferment the grapes in stainless steel vats or French oak. For this fermentation, we use our own yeast, from our vineyard and is isolated by our team. This concept is partially responsible for the character of Carraovejas. During fermentation, a relatively low temperature is maintained, using dry ice if necessary. After the alcoholic fermentation, the undergo spontaneous malolactic fermentation, which takes place in stainless steel or oak, depending on the characteristics of the wines. The barrel ageing is marked by respect for the character of the wine. Most of it was aged in extra-fine-grain, French oak barrels for a minimum of 12 months – the time it remains in the cellar before being put on the market, bottled and sealed with selected natural cork. A great match with red meat, game, pastas, ham and hard cheeses.